Delivering Android apps can be a pain in the neck. Preparing builds, signing the release, messing with the store – all this stuff require extra effort that could well be invested into actual coding. 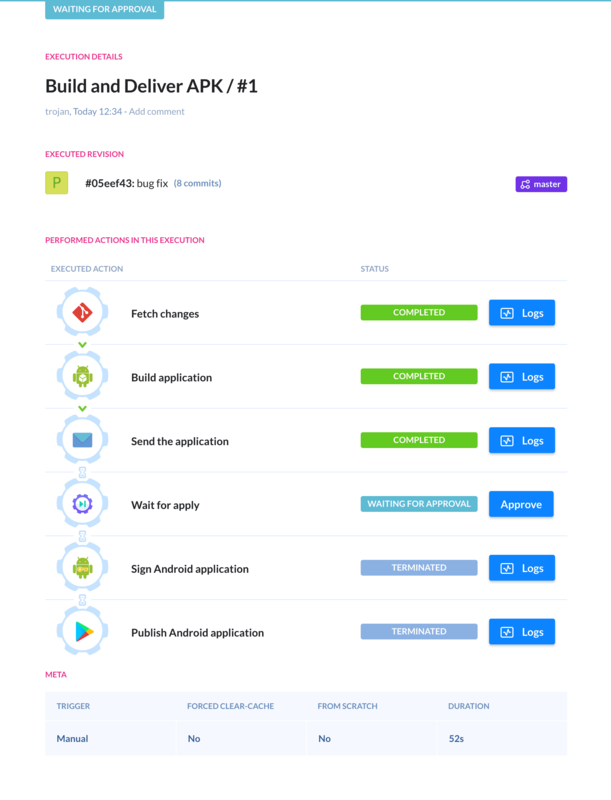 This is called Continuous Delivery: a process that allows developers to produce valid builds ready to be published to the app store on a single push to branch. And this is exactly what Buddy does. In this guide, we are breaking it down the to a simple list of how-to steps and show you how easy it is to implement even advanced DevOps strategies with Buddy. 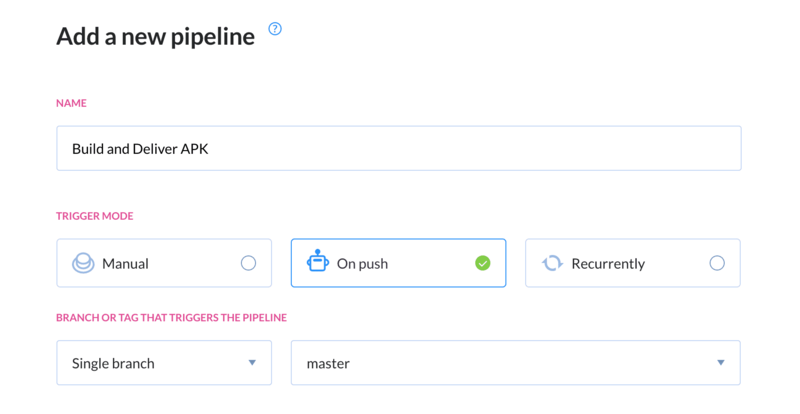 Once you configure the pipeline, Buddy will ask you about the first action to be added to the newly created pipeline. Select Build APK action from the Android section. If you are good with the configuration, just hit the Add this action button. Congratulations! From now on, Buddy will automatically build the APK on every push to the Staging branch. Every app store requires developers to sign their applications before publishing them. In many cases the signing is a part of the building process, which means the key & keystore are located in the application repository. For security reasons storing the keys in the repository is not recommended – that’s why Buddy has a dedicated action for signing the APKs. 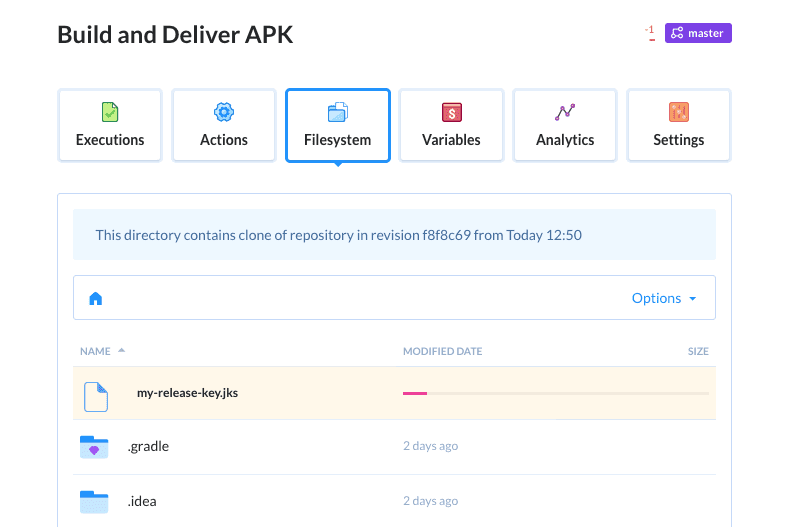 Before adding it to our pipeline, however, we have to upload the keystore to the pipeline filesystem. 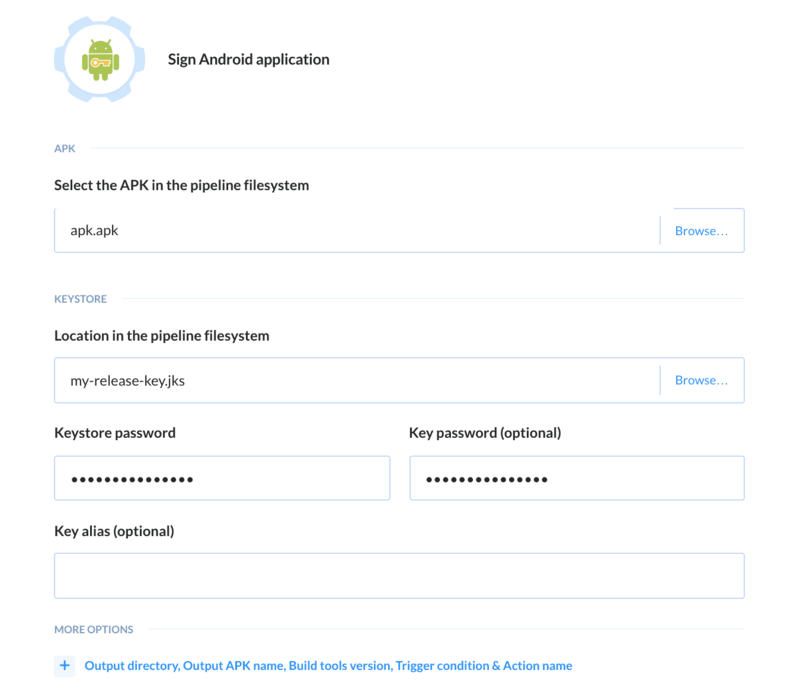 Once the keystore is uploaded, click the [+] button after the Build APK action and select Sign APK from the actions menu. 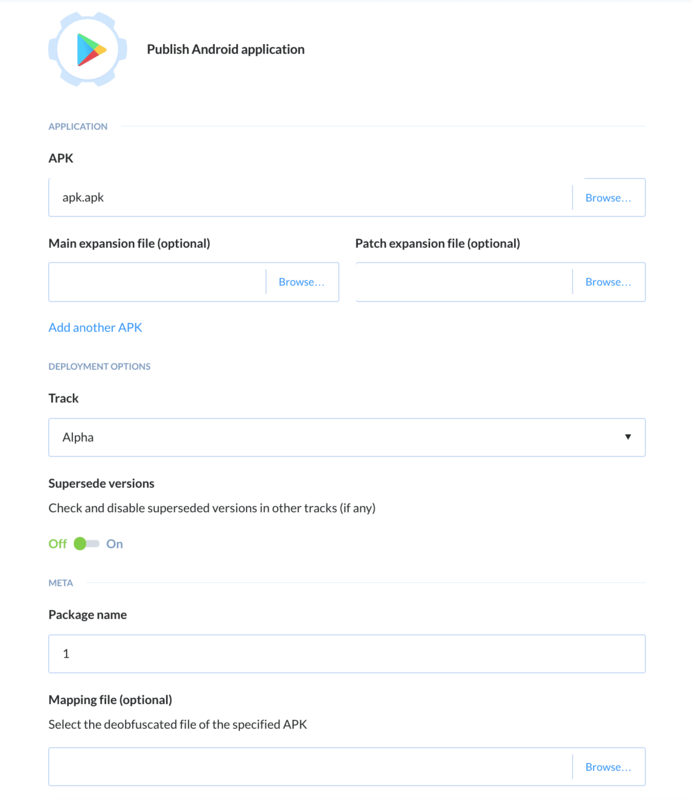 The you can select the path of the APK in the filesystem (by default it’s /app/build/outputs/apk/release) and provide the keystore with its password. Awesome! We have expanded the pipeline. 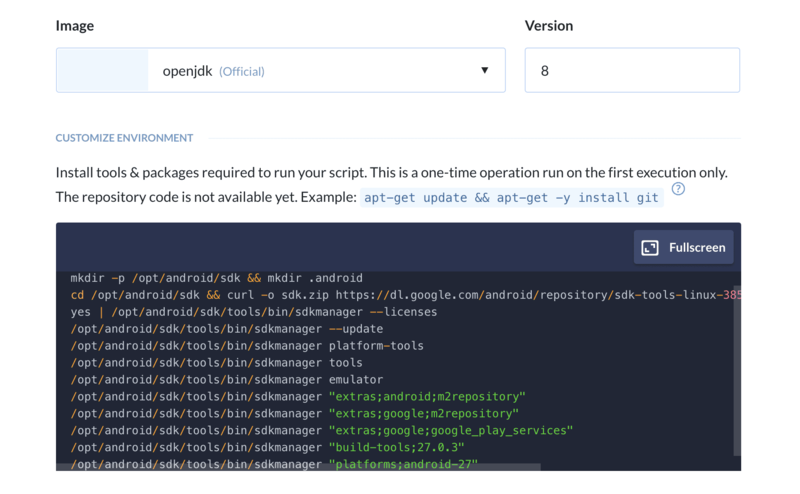 Once new code is pushed to the Staging branch, the pipeline will automatically build and sign the APK. 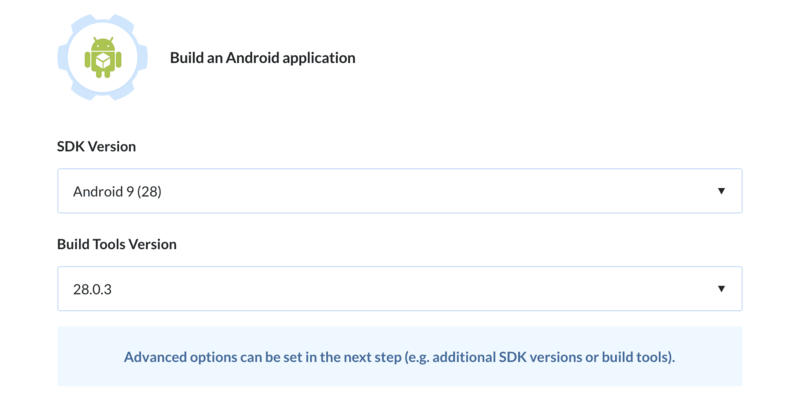 The signed APK by default is saved in the pipeline root as signed-app.apk. The location and name can be changed in the Sign APK settings. On this stage our Android application is already built and singed. Now it’s time to publish it to Google Play. Buddy has a dedicated action for publishing APK. Once again, click [+] at the end of the pipeline and choose Publish to Google Play from the actions menu. We’re going to publish the APK processed in the previous action. Use the Browse option and locate signed-app.apk in the pipeline filesystem. Next, since our pipeline is assigned to the Staging branch, we shall publish it to the Track Beta. The final step is adding the Service account key at the bottom of the action. Instead of deploying the APK to Google Play, you can build and send it to many communications channels supported by Buddy. In this case our starting point is a pipeline with just the build action as we don’t need to sign or publish our APK. 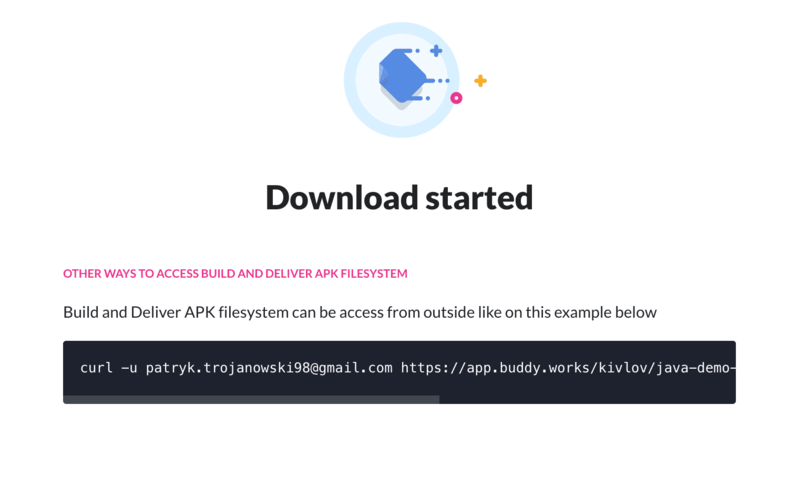 On every build Buddy will send the message with the link to the APK attached. You can use that link to install the application on an Android device directly from the filesystem. Some scenarios may require approval before publishing – for example from the QA team. In Buddy you can add an action that will put the pipeline on hold until approved. 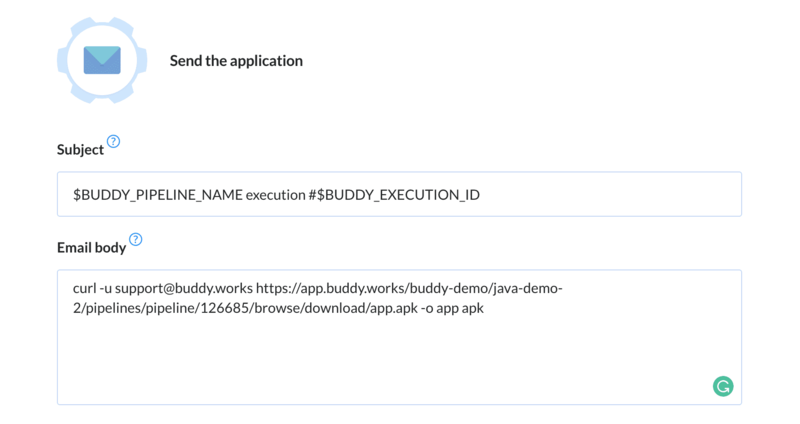 Buddy gives practically unlimited flexibility when it comes to creating delivery workflows. Pipelines can be triggered manually (useful for deployments to Production), on every push (useful for development) or recurrently (useful for integration tests). 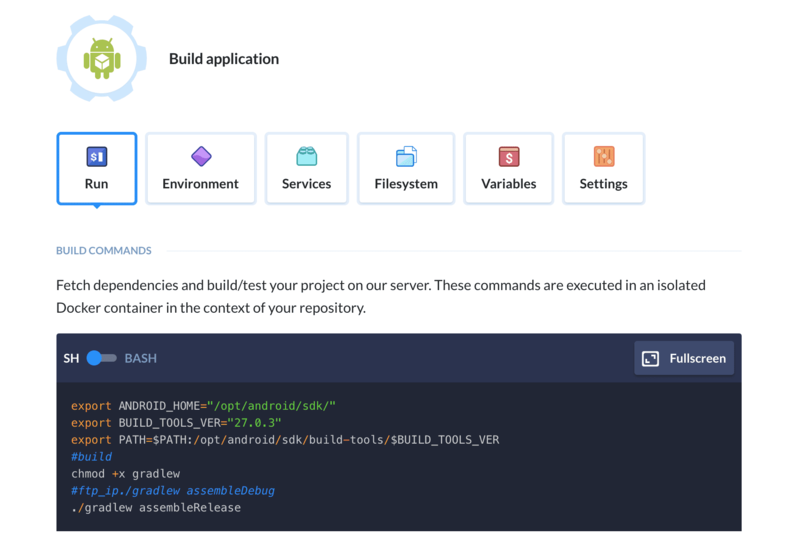 It turns the menacing concept of DevOps to a breeze, letting you easily introduce Continuous Delivery so that you can deliver, iterate and publish your software faster, giving you more time for what’s really important – building awesome apps. If you’re interested in introducing Buddy to your workflow, let us know on the live-chat or directly at support@buddy.works – we’ll help you to get started in no time. 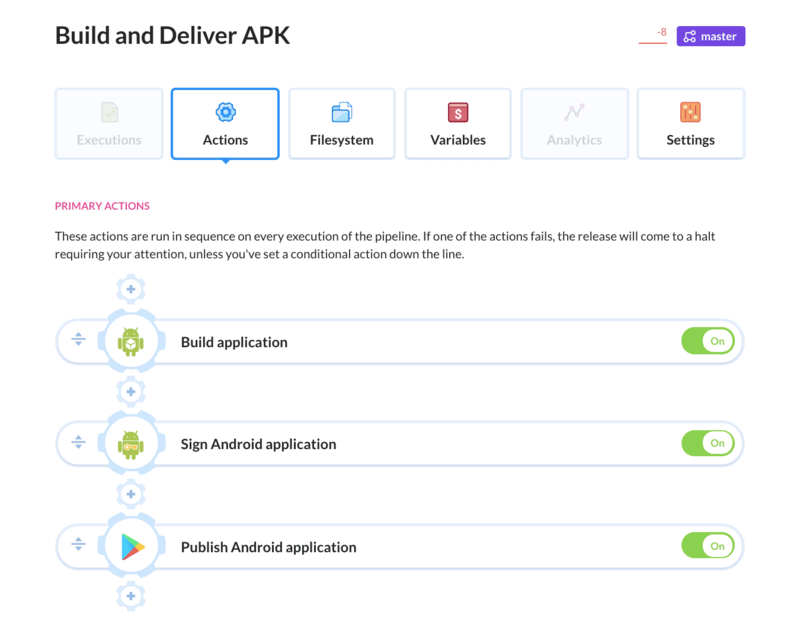 Test, sign and publish APKs to Google Play on a single click. 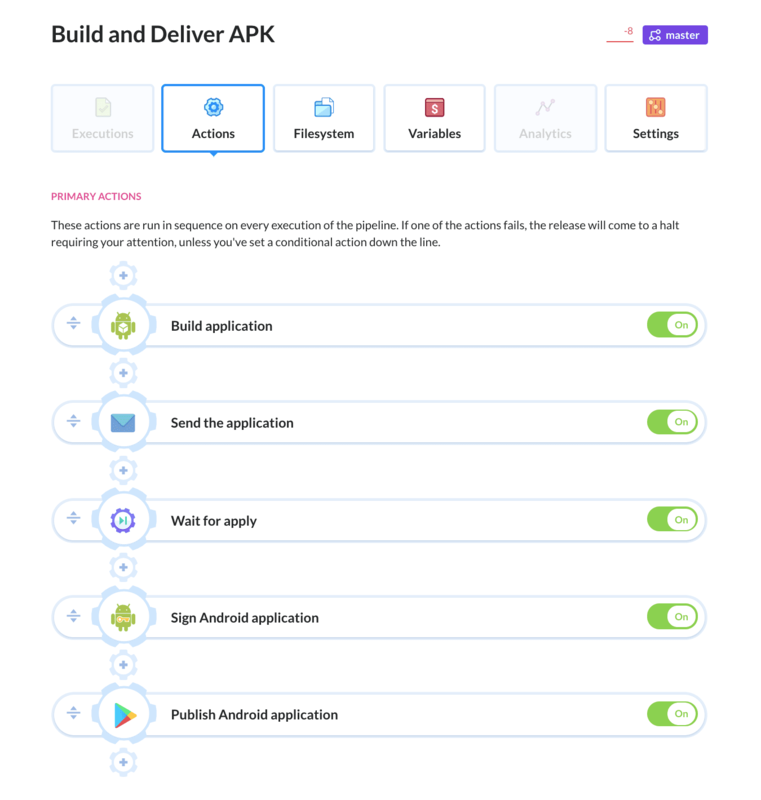 Automate build and delivery process of your Andoid apps with Buddy CI/CD.